With Sydney Community Foundation, Sydney Women’s Fund support, Liverpool Neighbourhood Connections has grown from one to five social enterprises, now creating 112 hours of work each week for disadvantaged women in Western Sydney. These are migrant, refugee, and intergenerationally unemployed women who gain confidence, supported gradually into the workforce through the social enterprises, many for the very first time. Currently women are working from 12 hours to 32 hours per week. Offering education and social enterprise opportunities, LNC’s strong employment pathways have helped over 500 women into jobs in hospitality, retail, property maintenance, beauty and health. Alleviating financial stress for their families, the women take great joy and pride in the role model they become for their children. While the social enterprises sustain majority of wages, the Top-Up Fund will offer more women access to employment scholarships. The scholarships will allow part-time employment in Pepper’s Cafe, Coffee Cart, School Canteen, Greener Cleaner, the Clothes Box and The Violet Room (established with support of SWF sponsor, Dermalogica). 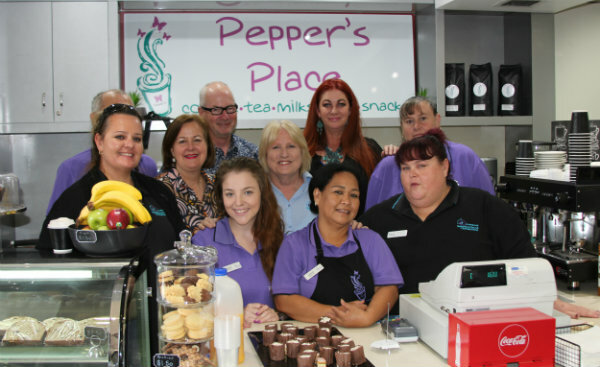 Last year, Pepper’s Cafe received a real boost, partnering with Liverpool City Council to run the local Library coffee shop and recognised by the Mayor for its important contribution to the community.